Download this free report to learn about game development trends heading into 2018. We polled nearly 4,000 game developers to shed light on the game and VR/AR industries leading up to the Game Developers Conference 2018 and VRDC@GDC in March 2018. There are also interesting findings on topics like “loot box” monetization schemes, the business of eSports and more. Get the latest insight and full analysis of game industry trends. 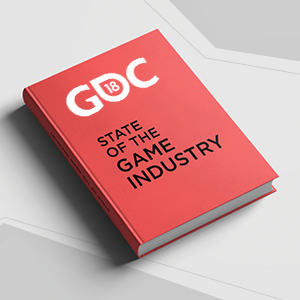 Submit the form to view the 2018 GDC State of the Industry.